Brabantia products are known for the ease of use and durability but yet fashionably fit into most any household environment. 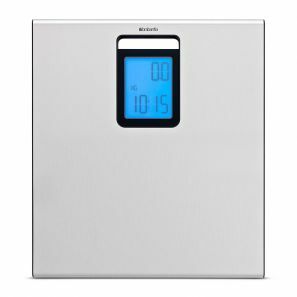 With a stylish slimline design complete with a built-in clock function on a bright backlight with easy to read extra large display. Starts ‘automatically’ after a simple touch and a battery-saving function, automatic power-off. Easy to clean – unique Fingerprint Proof coating. Stands stable – robust non skid protection caps. Extra large capacity. Batteries included (4 x AAA 1.5 V). Compact storage - with wall bracket. Easy to operate – clear step-by-step instructions. Durable, corrosion resistant materials. 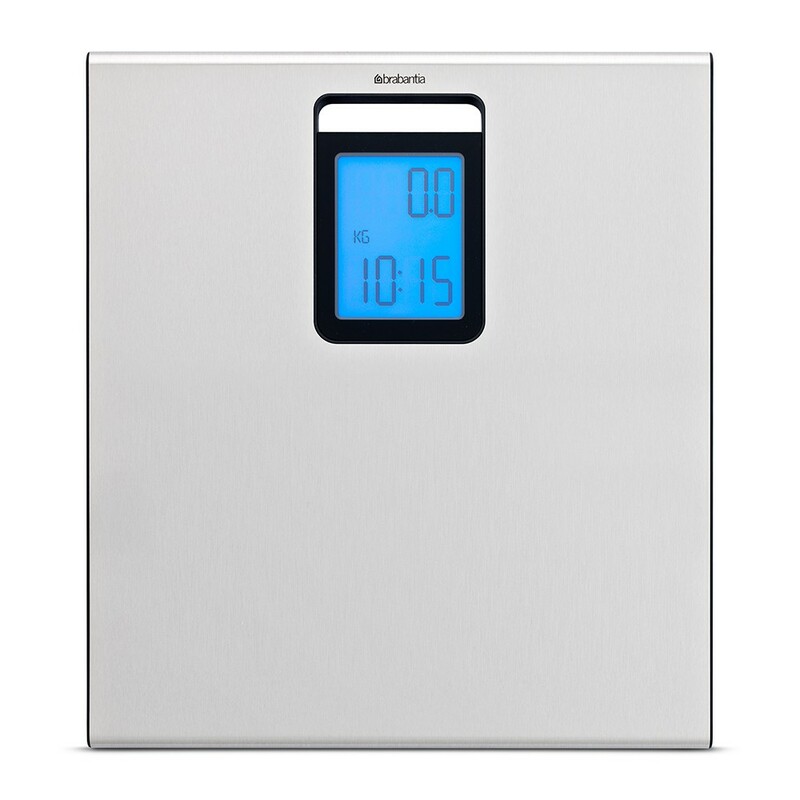 Place the scales on a hard, flat surface perfect for your tiled floors.